A North Carolina news station recently caught staffers from a Planned Parenthood PAC organization misrepresenting what they do. The way they got to the truth? Using a hidden camera. Hmm… use of hidden cameras to expose the deception of Planned Parenthood… where have I seen this before? Oh, right. I saw it a year ago, when the Center for Medical Progress, posing as a biomedical research company, exposed Planned Parenthood’s alleged sale of aborted baby body parts. 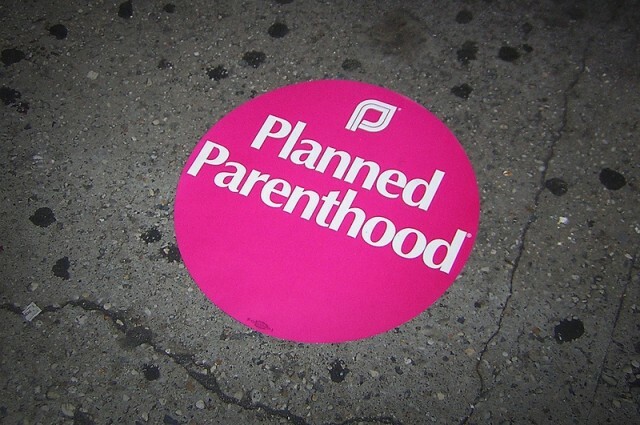 Several states opened investigations into Planned Parenthood and several defunded (or attempted to defund) the organization after these revelations. Even Congress voted to defund and funnel money instead to Federally Qualified Health Centers, which outnumber Planned Parenthood centers 20 to 1. President Obama, who had previously asked God to “bless” Planned Parenthood, vetoed the legislation. And thanks to CMP’s undercover work, the Select Investigative Panel on Infant Lives is still currently investigating the illegal trafficking of fetal tissue in the United States. In the case of the Center for Medical Progress, much of the mainstream media immediately tried to discredit the organization for using hidden cameras to expose Planned Parenthood’s deception. What are the basic similarities between the North Carolina TV news report and the CMP investigation? • Planned Parenthood staffers were caught engaging in (at minimum) deceptive activities. • It took a hidden camera investigation to expose the deception. So, why the deception? And is this going on across the nation to recruit “campaigners” to stump for left-wing causes like abortion? COG has published numerous advertisements for full and part-time positions on Craigslist and other sites where they were upfront about being associated with Planned Parenthood’s political arm. But it was an advertisement that wasn’t so upfront that caught the attention of the North Carolina News station (pictured right). Let’s pause here for a moment and imagine if this were a pro-life organization — for example, The Center for Medical Progress, and they were functioning under “false pretenses.” What would be the response of the media then? Actually, we can know what their response would be, because when it was learned that CMP’s investigators used pseudonyms and a different company name to gain access to Planned Parenthood and other organizations during the course of their multi-year undercover investigation, Planned Parenthood’s friends in the media condemned their actions. The difference? The whole purpose of CMP’s undercover investigation was not to deceive the public, but to expose illegal activity. The opposite is true here. Community Outreach Group downplayed to such an extent their affiliation with Planned Parenthood that they pretended to be an “anti-toll” group. And, like magic, being deceptive about one’s affiliations is suddenly no longer newsworthy! The papers were filed by Debra Alligood White, senior vice president and general counsel of Planned Parenthood Federation of America and Planned Parenthood Action Fund. According to a 2014 Planned Parenthood Action Fund 990, Community Organization Group is described as “community based organization, advocacy and canvassing activities” whose total share of income was $6,676,716.00. Planned Parenthood receives half a billion dollars annually from the taxpayer, which can be used in part to continue the day to day operation of their abortion centers. In addition, Planned Parenthood’s PAC overwhelmingly gives their money and campaigning support to candidates who continue funding to the abortion giant. In addition, even though investigative journalists use undercover cameras to expose wrongdoing (as seen in the WBTV example), whenever pro-life groups expose Planned Parenthood the same way, accusations of “deceptive editing” and “faked” videos become media talking points (even when two forensic analyses prove the videos to be authentic). In CMP’s case, Planned Parenthood’s surrogates in the California legislature went even further by passing a draconian law which will now penalize recording interactions at Planned Parenthood or abortion facilities in California. Given this history, it is no wonder that the Planned Parenthood supportive national media is ignoring the latest story on Planned Parenthood’s deception.